Set in 1938 against a backdrop of brewing conflict between Japan and China, Michelle Yeoh plays daring aviatrix and mercenary soldier Fok Ming-Ming, who comes to the rescue of a Chinese spy sent to gather intelligence on the Japanese Army’s plans, as they infiltrate Mainland China. With their sights set on future conflict with the Chinese forces, a group of ruthless Japanese generals harbour plans to manufacture poison gas in a remote mountain village. 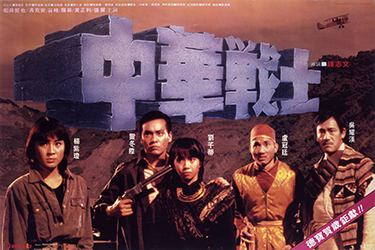 After a forced landing, Fok Ming-Ming enters the township to locate the agent, but soon becomes embroiled in the conflict where spectacularly choreographed fighting scenes demonstrate Yeoh’s martial arts mastery, culminating in a vicious, action-packed battle to oust the Japanese forces.